Elbit Systems will present at the ADAS 2016 exhibition in Manila on October 12-15 (Booths 1210 and 1220). 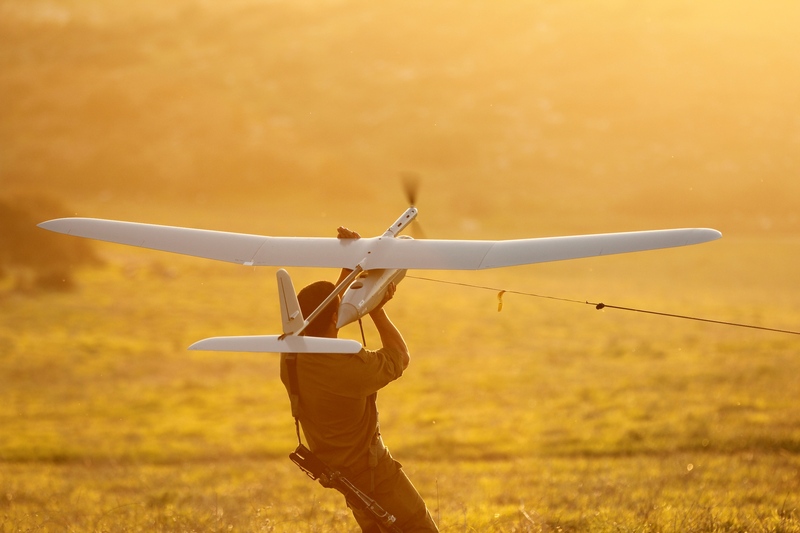 As part of its growing cooperation with the Philippine army, Elbit Systems will showcase upgrade and modernization capabilities, observation and communication systems, Unmanned Airborne Systems (UAS) and HLS applications. Skylark™ 3 (Presented at booth 1220) Field Deployed Tactical ISTAR UAS, a tactical mini-UAS optimized for either dismounted or vehicle-based operation, delivering organic airborne ISTAR capabilities to the division, brigade and battalion levels. Skylark 3 enables performance of ongoing covert operations, providing real-time intelligence during day and night. Skylark™ I-LEX (Presented at booth 1220) is a new generation of the legacy Skylark I-LE mini-UAS. This man-portable electric propelled UAS is best suited for organic “beyond the next hill” reconnaissance, counter insurgency and force protection missions, as well as civil applications including perimeter security, border and coastal surveillance, anti-terror and a variety of law enforcement missions. 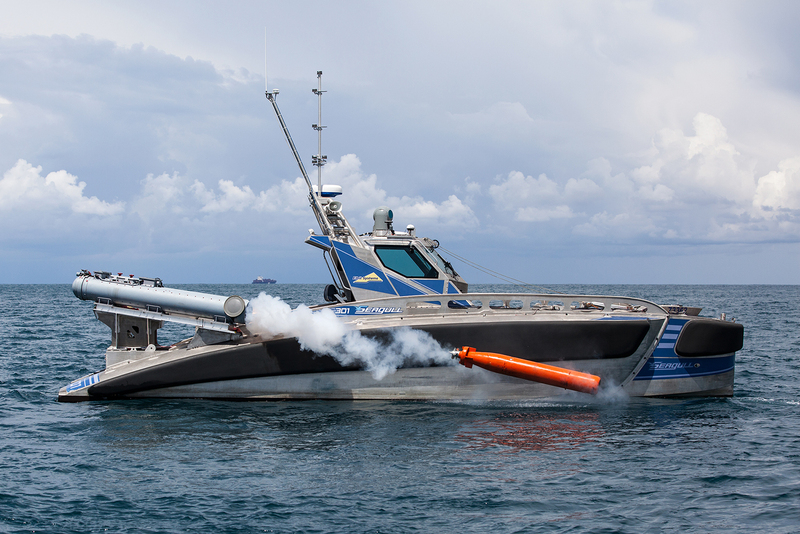 Seagull (Presented at booth 1220)- A multi-mission, 12 meter autonomous Unmanned Surface Vessel (USV) system, equipped with a dipping sonar to detect submarines and maritime mines, capable of installing and launching light weight torpedoes to counter these threats. The Seagull USV is designed to carry out unmanned maritime missions, such as protection of critical sea areas and high-value assets against submarines and sea mine threats. Seagull can be operated from manned ships or from the shore. MUSIC™ – Elbit Systems Multi Spectral Infrared Countermeasure (MUSIC) systems are a family of DIRCM (Directed IR Counter Measure) solutions for protecting helicopters and small-medium fixed wing turboprop aircraft. against heat seeking ground to air missiles. All systems in the MUSIC family employ cutting edge technology including a unique fiber-laser based together with a high rate thermal camera, a directional infra-red countermeasure technology and a small, highly dynamic sealed turret to provide effective, reliable and affordable protection to all types of aircraft and under all operational conditions. Designed in an open architecture our systems can easily be integrated on any type of aircraft. Man-pack Miniature Reactive Jammer (MRJ) is a reactive and/or active system against RCIEDs (Remote Controlled Incendiary Devices) developed for ground forces and designed for missions performed by Special Forces or penetration forces with a set frequency range. All-in-Small™ – is an airborne unified self-protection system, offering a complete, lightweight and compact electronic warfare (EW) suite in a single LRU for any airborne platform. XACT nv32 is a micro compact image intensifier night vision monocular or dual monocular system. XACT nv32’s revolutionarily light weight allows extended usage time. Its exceptional Image quality is due to high end auto gated image intensified tubes and glass optics. Multiple mounting options maximize operator adaptability. XACT th64 is a thermal weapon sight that can be either weapon mounted or hand held, XACT th64 has a genuine shutter-less uncooled thermal engine with a completely digital display and operation. Its built-in recorder allows the capture of image and videos. The sight is light weight with small dimensions. CORAL-CR- a hand-held lightweight thermal imaging target acquisition system, including a laser range-finder, compass and GPS. Mini-Coral is a very lightweight thermal imager and target acquisition system designed for both urban warfare scenarios and for wide spread battlefield deployment. The system incorporates a GPS, day and night channels, laser range finder and a compass, enabling the operator to acquire target coordinates to ranges of 2-3 kilometers and save the target data, image and video in a target data bank. Mini-Coral is a key to any large-scale infantry modernization program. DOMINATOR™ – An integrated combat suite enhancing the effectiveness of the dismounted soldier suite of solutions comprised of a series of integrated hardware components, C4I applications and an advanced Load Carriage System developed in-house, dramatically shortening the sensor-to-shooter loop, ensuring battlefield superiority at all times. Enhanced Tactical Computer (ETC) – is an ultra-rugged, battle-proven, high-performance tactical computing for combat vehicles. The computers support a broad range of visual applications and feature advanced processing, graphics, security and communications capabilities. WideBridge™- Mission-critical broadband services for first responders. Widebridge provides reliable and secure wireless broadband services via integrated cellular and radio networks. It enables real-time connection between personal communications devices, vehicular devices, first responders’ radio networks and tactical radio networks. Using the Android mobile operating system and field-proven technologies, the solution supports secured voice, video, PTT, email, IM, and other channels that link public safety and commercial networks. GRX-8000 ECCM is a high capacity and frequency-hopping radio relay system for interference-free communications, representing the latest generation NATO Band IV with Dual Mode – High Capacity (HC) and Frequency Hopping (FH) – line-of-sight broadband radio relay system. 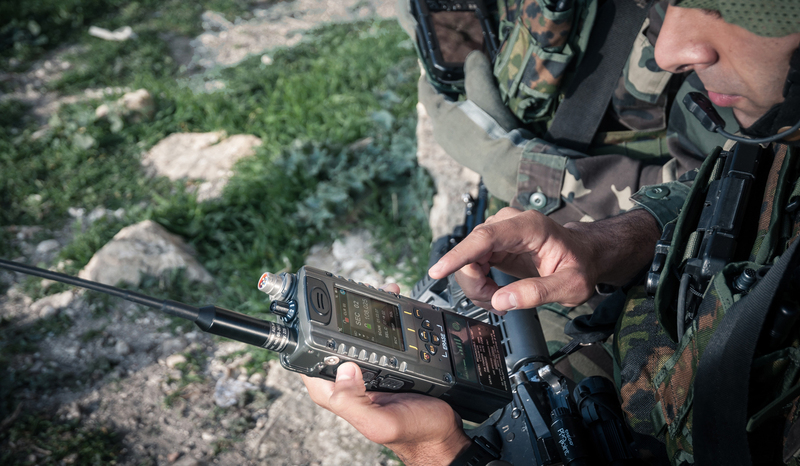 HF-8020- Tactical radio – providing shared C4I information and video stream through narrowband data links. MCTR-7200HH- The multi-use, single platform contains powerful programmable hardware that offers reliable triple-play voice, video and data services, simultaneously over a single narrowband tactical 25Hz channel. It also offers high-speed data over wideband channels, providing a significant operational edge on the battlefield. Equipped with advanced IP networking capabilities, the MCTR-7200 can build a full mobile tactical network in all terrain types and scenarios. Supporting continuous frequency coverage from 30 to 512 MHz, the MCTR-7200 also offers a modular range of configurations geared to match the specific operational requirements of any mission, including handheld, manpack, vehicle-mounted and marine radio sets. Advanced multimedia integrated capabilities render the MCTR-7200 a key factor in maintaining constant situational awareness via real-time intelligence such as maps, video and targeting information. ELSAT MSR 2100 is a tactical satellite solution for on-the-move beyond line-of-sight (BLOS) communication, ideal for mobile and maneuvering military forces. The software-based Micom-3 radios deliver unmatched, cost-effective and reliable HF communications. This comprehensive product portfolio, available in many configurations, supports a broad range of communications solutions. The Micom family of transceivers has delivered long-range wireless communications to thousands of organizations worldwide for over 30 years.